Snowman Mason Jar Crafts are a great way to liven up your table with gorgeous glittery mason jars that you personally made. 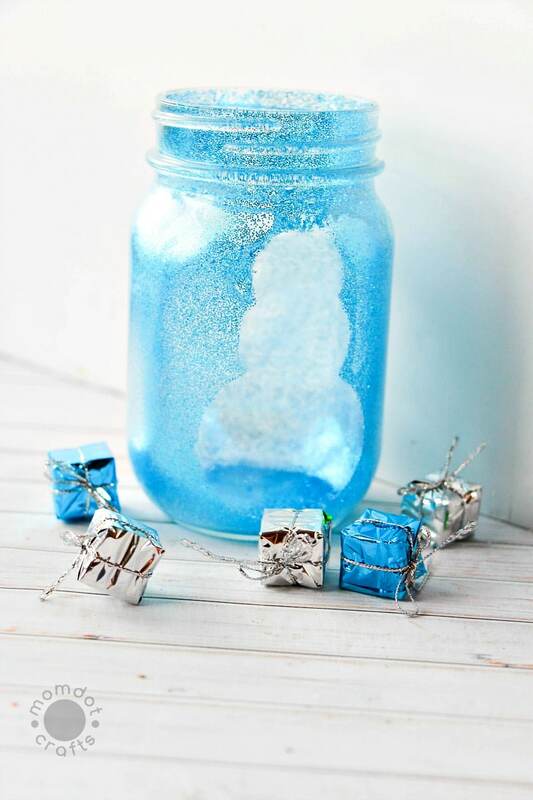 Whether its one snowman jar or a whole blizzard full, you cannot go wrong with this tutorial on how to make a snowman mason jar. It’s that season again and between the winter wonderland and the holiday spirit, it’s time to get your centerpieces and mantle decor up to par. Or at least that is what we tell ourselves. I simply love mason jar crafting, so any chance I get to share with you all some fun ideas, I do! Of course, there are many snowman mason jar craft ideas and tons of winter ones, which you can see more if you go to this newly published 15 amazing mason jar Christmas crafts and inspiration post. Grab your mason jars and let’s get started! Before you get started, I find the easiest way to start mason jar crafts is to have all the supplies on hand. I hate driving around looking for craft supplies, it kills so much time that I do NOT have. 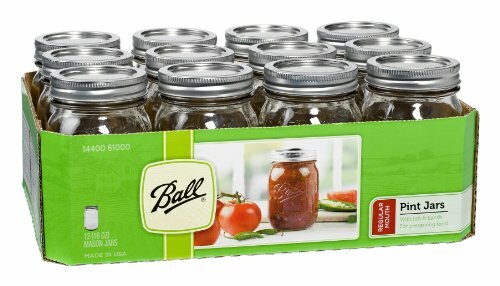 Grab your mason jars and get them sent for free from Amazon Prime! Here are a few great priced mason jars! You can also use these mason jars to serve this Strawberry Pretzel Dessert recipe or to create a Mason Jar Lid Wreath, so make sure you grab extra. 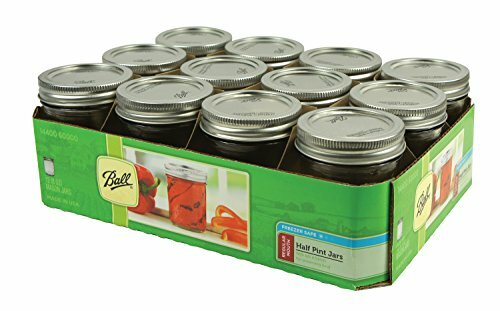 You cannot have too many canning jars on hand all season long. Trace small circular shapes on the back of your contact paper to form a snowman. Check to see how your snowman aligns on your mason jar – you want the whole body to fit nicely. 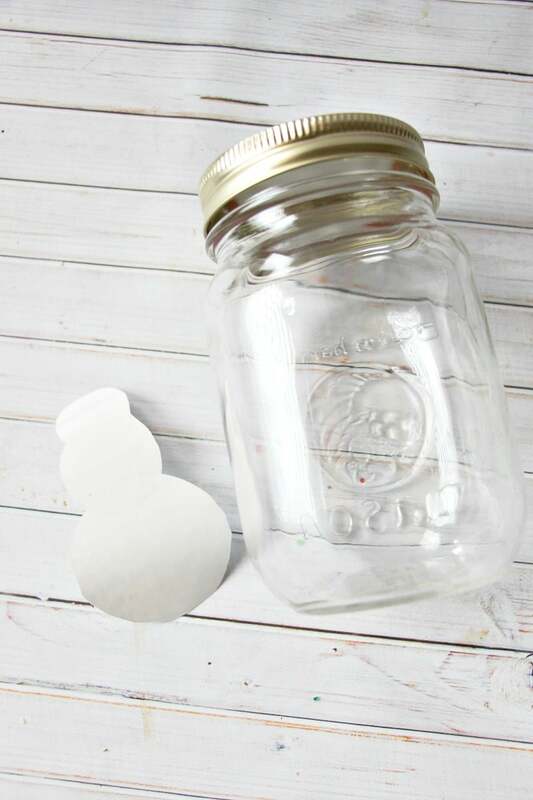 Cut out the contact paper snowman and carefully attach inside the mason jar, smoothing the head down first. Avoid air bubbles or wrinkles which will allow glitter to get into your silhouette. 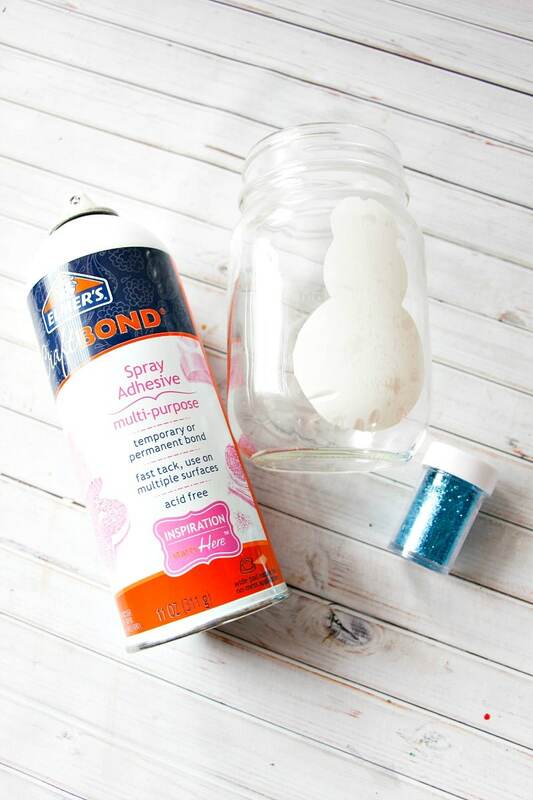 Spray the inside of your mason jar well with the adhesive spray. Allow the excess adhesive to drip out of the jar by placing it upside down in your sink for a couple minutes. Sprinkle in 2 Tablespoons of your chosen color of glitter and firmly screw the mason jar lid back on. Shake the mason jar well to evenly distribute the glitter. Add more glitter as needed for a thick and even coat. Remove the jar lid and shake the excess glitter out (into the garbage or a small bowl if you have another project needing glitter that day). Let the adhesive spray dry for 5 minutes before removing the contact paper snowman with tweezers. If any adhesive and glitter has invaded the silhouette, remove carefully with a q-tip dipped in nail polish remover . Let the mason jar dry overnight before inserting treats or a candle. Getting ready for the holiday season and LOVE mason jars and Christmas Crafts? ME TOO! 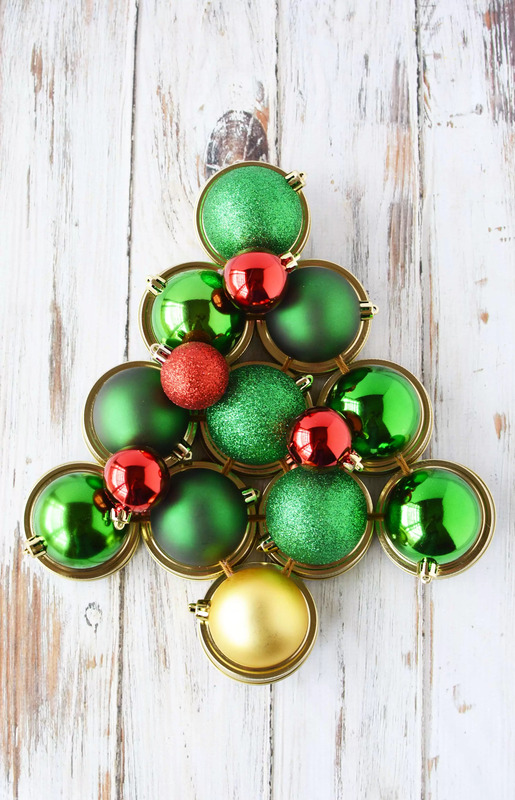 Mason Jar Lid Wreath – Create a gorgeous Christmas tree to hang on you front door or any of your indoor doors for an adorable, festive decoration! Full Tutorial with step by step images on how to use your left over canning lids to create this unique wreath. Christmas Drip Painting Jars – One of my very favorite things to do is drip painting. I have used this technique in many jars and even on drip paint pumpkins for the Halloween season! You can learn how to make this Christmas Mason Jar Craft at this tutorial and then use the decorative jars as centerpieces or even to hold excess forks and knives on your dinner table. Makes a perfect jar to add Cinnamon Rock Candy to as well. 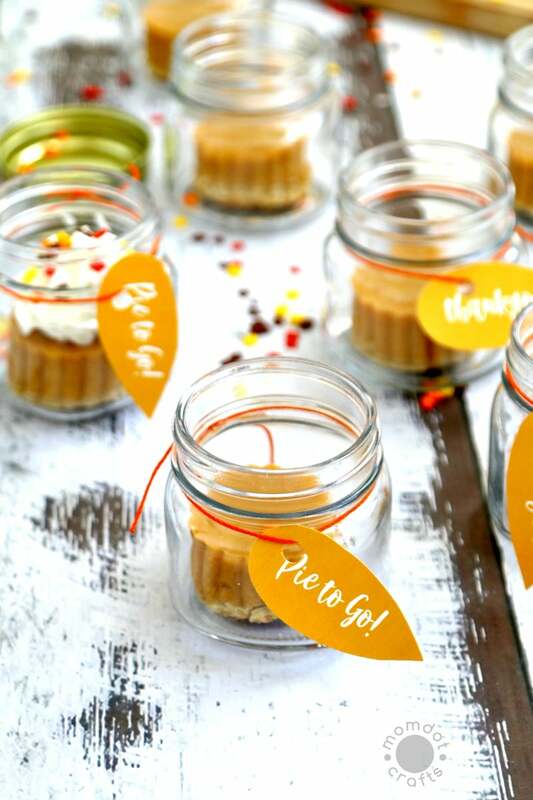 Mason Jar Desserts : Of course Mason jars were made for food and you can use them to cut out pre-made pie to send your guests on the way with dessert to go! Get this awesome idea for Pumpkin Pie to Go and a Free printable by visiting below. Still want more? Make sure you check out these Mason Jar articles before you go!